Get real time transparency into your JD Edwards sales information. Sales is a fast-moving business area that requires access to advanced analysis to make effective decisions based on data and gain an advantage over the competition. Not only do you need to find out what happened in the past, but you also need to predict what will happen in the future so that you have a better idea of your organization’s profitably tomorrow. 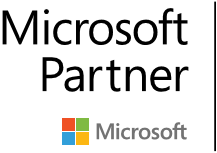 As a Microsoft Data Analytics partner, Preferred Strategies helps customers transform JD Edwards data into a strategic asset. Our QuickLaunch for Microsoft solution provides scalable data architectures that enable self-service reporting and analytics across over 20 JDE modules including Sales. 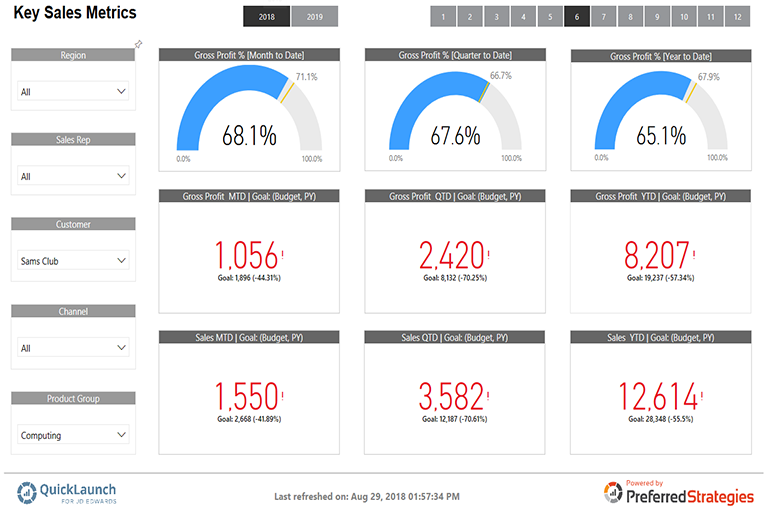 Monitor all your Sales KPIs from one centralized version of the truth. We will work with you to define and visualize your most important business metrics so that you can stay on top of your sales data inside of JD Edwards. In this report sample, you can slice the data by any of your JDE category codes so that you can get key insights that require action. Dive into details around what is driving sales and gross profits across all aspects of your business. From this report page you can drill into the elements within the visualizations as well as drill-through to more detailed reports that focus on Sales Rep and Region performance by right-clicking on those fields in the report. You can also see added contextual information with report page tooltips. Drill-through from aggregated data down to more detailed information around each of your sales team member performance. Figure out where improvements can be made and refine your sales strategies to drive the bottom line. Drill-through to more granular data for each of your sales regions/divisions. Quickly identify the top and bottom customers as well as products for each of your regions so that you can adapt to constantly changing geographical markets. Quickly gain visibility into your product performance across several sales channels. Get insights from the Item Branch/Item Master tables of JD Edwards, so that you can ensure that you are driving sales of your most profitable products. 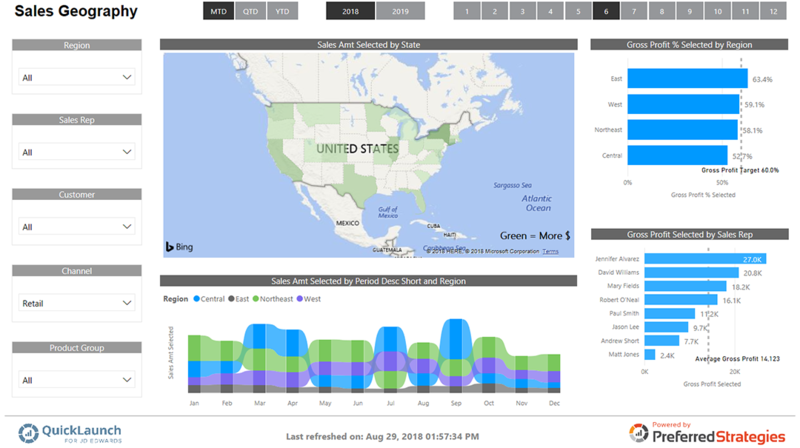 Leverage the automated Forecasting feature within Power BI to get an idea of what is likely to happen in the next quarter, six months, or longer. This page offers trends and forecasts for common sales metrics such as sales amounts, quantities ordered, and gross profit %. 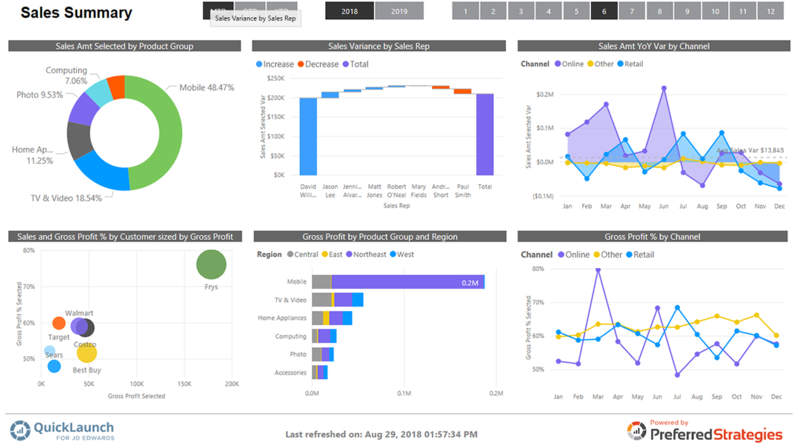 The QuickLaunch solution provides a central metadata layer with Analysis Services Tabular models that leverage in-memory data processing, making analytics and report generation with Microsoft Power BI substantially more responsive than more traditional OLAP solutions. 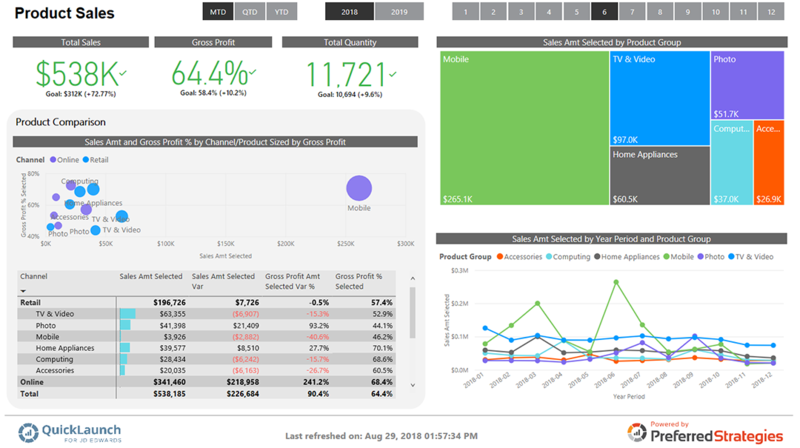 In addition, we provide sample Power BI reports and dashboards for each JD Edwards module to give you a head start with your analytics initiatives.